According to a new report from MacRumors, Apple's next generation iPhone will support two way wireless charging that will allow iPhone to charge other Apple devices like AirPods, and other stuff. Again, Apple analyst Ming-Chi Kuo again confirmed in a report sent out to investors today. Kuo previously mentioned the feature briefly in a February note, and today he goes into a bit more depth about the suppliers who will benefit from the feature. We expect the new 2H19 iPhone models will support two-way wireless charging. Though the iPhone is not the first high-end smartphone to be equipped with two-way wireless charging, this new function could make it more convenient for users to charge the new AirPods and create a better integrated user experience of the iPhone and AirPods. According to Kuo, suppliers such as Compeq (will supply battery boards) and STMicro (will supply two-way wireless charging controller) stand to benefit from Apple's inclusion of two-way wireless charging as it will increase the average selling price of key components. 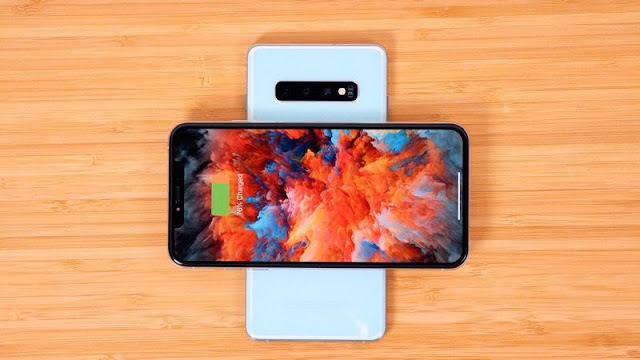 To accommodate two-way wireless charging, Kuo believes battery boards included in 2019 iPhones will increase in size, as will battery pack capacity. Kuo says that battery capacities for the 6.5-inch iPhone XS Max successor could increase by 10 to 15 percent, while the battery capacity of the 5.8-inch OLED iPhone XS successor could grow by 20 to 25 percent. The iPhone XR successor isn't expected to see much of a gain, though, with Kuo predicting growth of 0 to 5 percent.